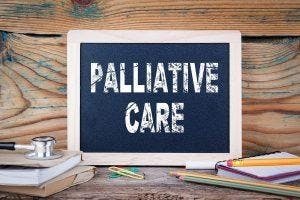 Palliative care helps people and carers maintain quality of life when living with a life-limiting or terminal illnesses that cannot be cured such as cancer, dementia, AIDS, lung disease, organ failure, motor neurone disease etc. Palliative care is a family centered model of care and manages more than clinical symptoms. The ACT has a range of palliative pathways to receive coordinate support and assistance. Come along and learn more about palliative care, access to services and how to start conversations about palliative care and end of life. Registration is essential through the link below. Carers ACT will be live streaming this session. If you are unable to attend on the day but would like to watch the live stream of the session from your electronic device (such as mobile phone, tablet, or computer), please register a “Streaming” ticket. If you select a “Streaming” ticket, you will receive a separate email at least two days prior to the advertised date and time with a link to click on the session. By attending and participating in this session, you consent to video, images and audio of yourself and those you are responsible for being used in this manner. As this session is being live streamed, participants are reminded to arrive before or on time. The session will commence once the facilitator is available and as close to the advertised time.